Igor Sadikov, the student politician who called on his Twitter followers to “punch a Zionist today,” stepped down as a director of McGill University’s student government one day after the university’s Arts Undergraduate Society voted against impeaching him. 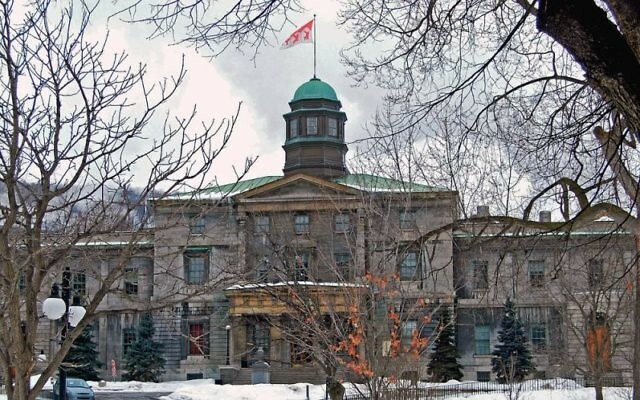 The 22-year-old political science student blamed “interference” by the McGill administration, he said in a statement Thursday. “My continued membership on the [Board of Directors] is, at this juncture, a legal liability for the Society,” he said in the statement. Sadikov, who also is active in the Boycott, Divestment and Sanctions movement against Israel, has denied he is anti-Semitic, noting that his father is Jewish and his mother is half-Jewish. “This is an important victory for Jewish and pro-Israel students and for tolerance in general at McGill,” said B’nai Brith Canada CEO Michael Mostyn. Sadikov’s four-word tweet was posted on Feb. 6 and taken down three days later.